Co-founder Alison Jamele, Executive Vice President, oversees the vital day-to-day operations of MediaMation, Inc. She plays a crucial role in managing the business, marketing, and legal affairs of the company and is a member of the Board of Directors of Mediamation Inc. She helps to determine the overall course of the company and explore new markets and business opportunities to grow the company. Over the past 27 years, Mrs. Jamele has overseen the company’s projects since its inception, projects from the Jurassic Park, The Lost World and Jurassic Park III (the movies), to major theme parks zoos worldwide, to the Ronald Reagan aircraft carrier and much more. With her business mindset, she has brought the company to a new level of recognition as being an industry leader in themed attractions and interactive entertainment. Mrs. Jamele’s creative talent started at a young age when she studied classical and jazz guitar for the next fourteen years, winning several awards earning her way to studying at the prestigious, Berklee College of Music in Boston, Massachusetts, where she majored in audio recording and engineering. She returned to Los Angeles, to complete her degree in television production and writing at California State University, Dominguez Hills. 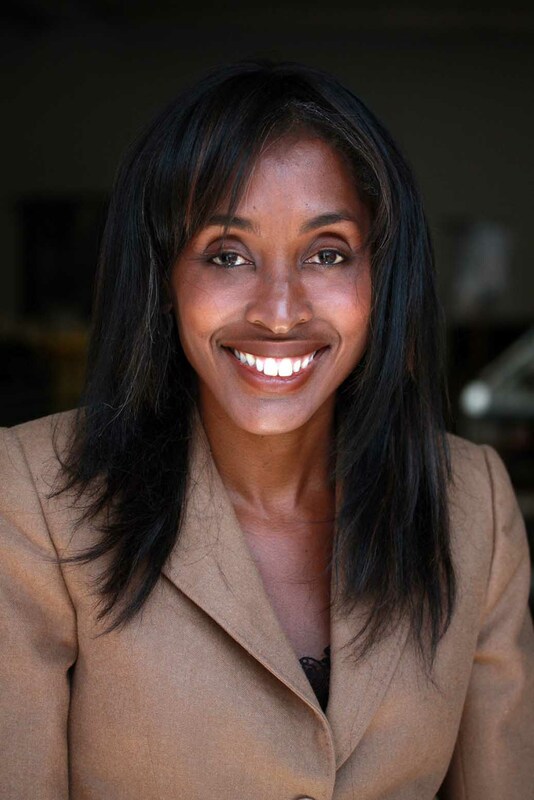 There she honed her writing skills and produced and directed her award winning documentary, “Sickle Cell Anemia: Is There Hope?” which was broadcast throughout Los Angeles and garnered a national and regional award. Mrs. Jamele immediately landed a job at Fox Television Center as production coordinator on “The Late Show and the popular British Comedy, “The Ruby Wax Show”. From there she worked for CBS sitcom, “The Hogan Family” and other various variety shows and pilots. She then did freelance work, writing copy for EME Entertainment, South Bay Sound Productions and the International health food giant, Green Foods International and in 1994, wrote several spec sitcom scripts at Warner Brothers Writer’s Workshop. Since then, Mrs. Jamele worked in different capacities for the International Themed Entertainment Association and became Chair of their Social Committee and then as a Board Member of their Western Division where she helped set policies and standards for the different aspects of Themed Entertainment. She recently received the 100 Black Men of Los Angeles Women of Color Achievement Award for promoting economic security and community improvement through creating jobs, devoting time and resources to the public good, and serving as a mentor and examples of success. Mrs. Jamele is currently the President of the Asia America Symphony Association, a non-profit organization that inspires and mentors young musicians to enrich and further their musical talents by way of education and performing opportunities in a professional environment. Mrs. Jamele is currently working on writing a novel as well as taking flute lessons, a long time desire she thoroughly enjoys. But the most joy she gets is reading her Bible and spending time with her husband and three boys.